We at Passing Hats are excited to introduce Kids and their Dolls. When looking at advertisements for children with cancer or looking up items on line there are lots of heart touching photos of children with a doll or stuffed animal nearby. 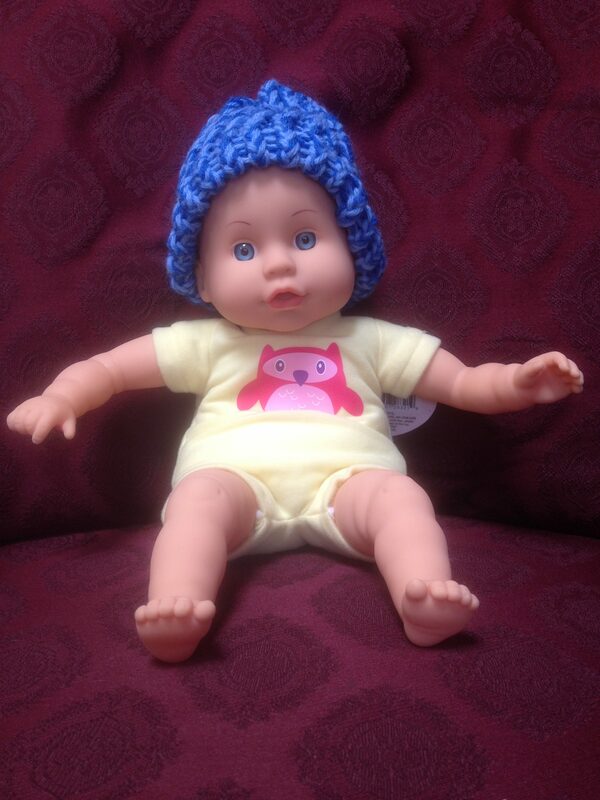 We have lots of children’s and baby hats being made by our knitters, loomers, crocheters, and those who sew. We put 2 plus 2 together. How much fun would it be to have matching hats for Kids and their Dolls. A visit to a doll store helped me get dimensions for the dolls head. A visit to Walmart allowed me to purchase an affordable, adorable doll and one of our hats fit that doll. The average doll head is 12 inches around. One of our talented member who sews is making matching hats too. We are currently delivering hats to all children’s cancer hospital in the Dallas area.